Entering entity details into application forms can be frustrating. 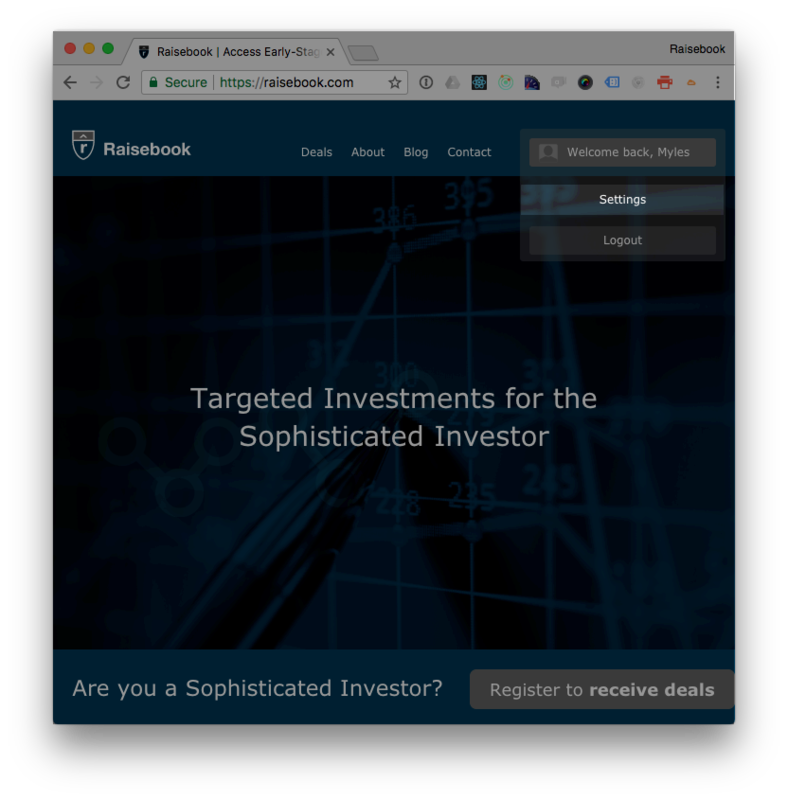 Raisebook has simplified the process. Entering entity details into application forms can be frustrating. One small mistake and your shares will not end up in your trading account! This can lead to weeks of waiting for your shares to find there way into your stockbroking account, meaning you wont be able to sell them as quickly as you might like to. Raisebook has simplified this process with our platform's entity storage. But first, lets go through the difference between receiving shares on an SRN or your HIN. What does SRN and HIN mean? A HIN (Holder Identification Number) is a reference number used to identify shareholdings. Your HIN is a 10-digit number typically beginning with an "X" that identifies your stockbroking account. Your HIN can typically be found on all share statements mailed to you, and on your chosen trading platform or stockbroking account. An SRN (Securityholder Reference Number) is a reference number used to identify Issuer Sponsored shares. These are shares that are being held for you by the company’s share registry. To transfer shares from your SRN to your HIN, contact the company’s share registry directly. Additionally, stockbroking accounts often provide services to transfer shares from an SRN to the stockbroking account's HIN. Your SRN is a 10-11 digit number typically beginning with an “I” and can be found on your Issuer Sponsored security holding statements. So why would you receive shares on an SRN rather than a HIN? Why is it important to have the correct details? Shares are typically issued onto an SRN rather than your HIN because the share application form was completed inaccurately. If there is any difference between the holding details of your HIN and what is included in the application form, then the shares will not be provisioned to your HIN, and will instead be issued on an SRN. Completing your share application form accurately will ensure you receive your shares as soon as the registry allows. Incomplete, or inaccurate forms can delay you receiving your shares on your HIN, prohibiting your ability to easily sell the shares at the time you want to. Share application forms will also include instructions on how best to complete the form. Always follow the form's instructions as other forms may be set out differently. 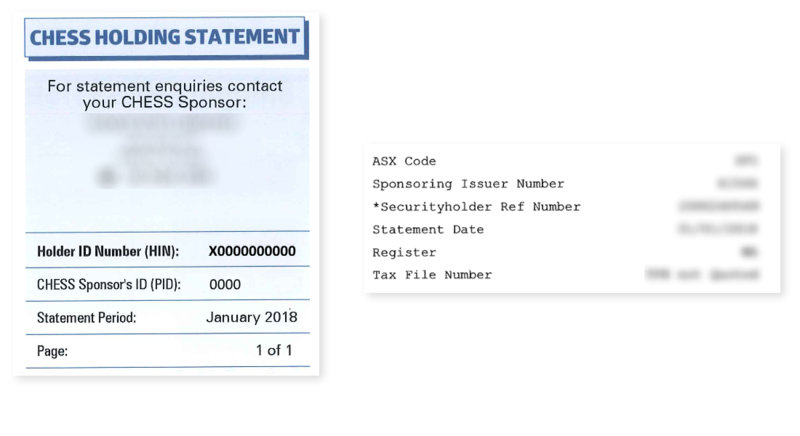 One of the easiest ways to ensure application form accuracy is to copy the details from an existing share certificate. And here is where Raisebook simplifies this further! Our platform can store multiple entity details, with state of the art security, for you to easily re-use at any time. Once your chosen entity details are saved on your account, you can make a bid with that entity through Raisebook. 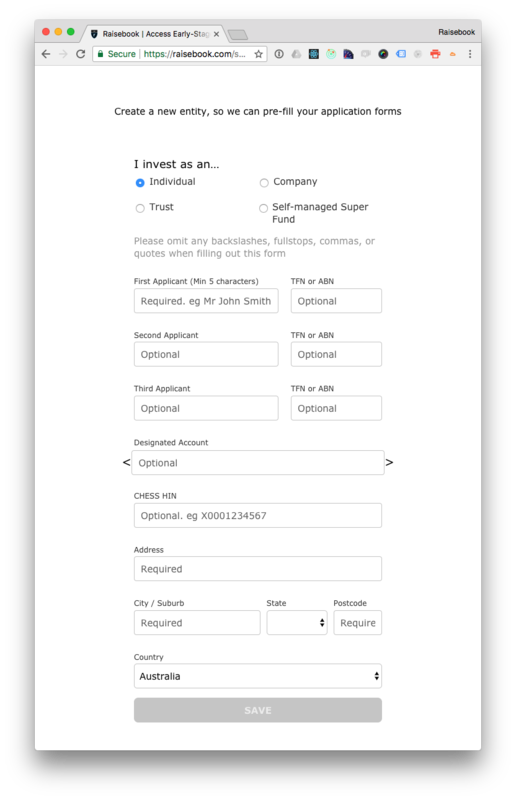 During the application process you can simply select which entity you wish to receive the applied for shares. The chosen entity details will automatically be copied onto the application form. How do I store my Entity Details? Storing your entity data is easy - simply navigate to Setting and select Create A New Entity. Complete the webform to register your details. Please make sure the entity details stored on the platform are accurate, as these details will be referenced for all future deals you choose to apply for via that entity.